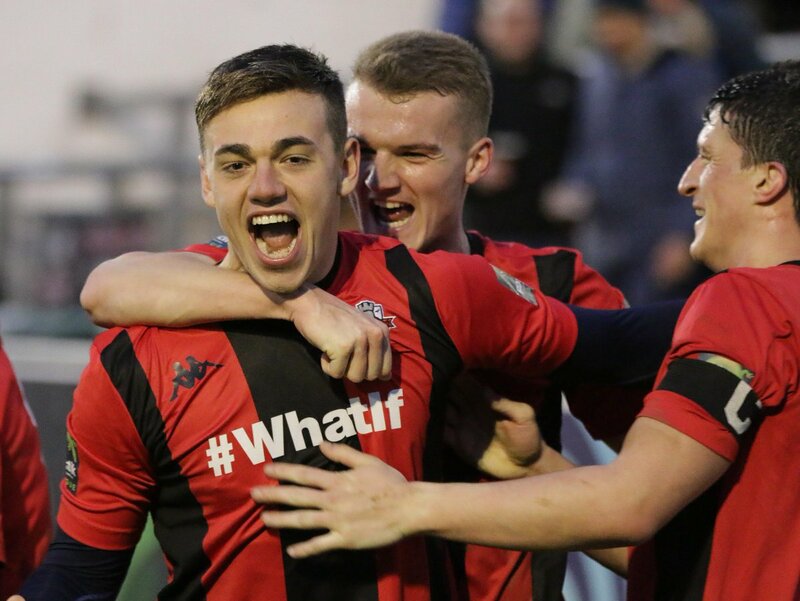 A superb comeback saw Lewes recover from going 2-0 down just before the hour to win 4-2 and remain in third place in the Bostik Premier table, reports Tom Harper. Darren Freeman named an unchanged side after last week's impressive 4-3 win at Worthing as the Rooks looked to record back-to-back victories. The visitors were in the relegation zone coming into the game but took the lead after eleven minutes through Ahmet Rifat, whose towering header from a deep free-kick from the left appeared to go under Lewis Carey's dive on its way into the bottom corner. Wingate allowed the Rooks to control possession for much of the rest of the half, and were dealing relatively comfortably with anything Lewes threw at them whilst also posing a threat themselves from set-pieces. The closest the Rooks came to equalising before the break saw Charlie Coppola have a strike blocked on the line after good play down the right by Harry Reed and Omarr Lawson, with Kieron Pamment seeing his effort on the rebound deflected behind. Wingate doubled their lead after 58 minutes, as an Olarinde Williams shot from the edge of the area which appeared to be going wide took a big deflection off Frankie Chappell, wrong-footing Carey and ending up in the bottom corner. Lewes responded within a minute, as Chappell converted a Tom Day cut-back from the left after Wingate goalkeeper Shane Gore had only been able to parry a James Hammond free-kick. The introduction of Jonte Smith just after the hour gave the Rooks more of a presence going forward and they nearly equalised minutes later through Pamment, who rattled the crossbar with a powerful strike after being picked out by Reed. Lewes weren't to be denied for long though, Smith sending Gore the wrong way from the spot to level the scores on 67 minutes after Luke Blewden had been fouled in the area by Sam Tring. At this stage, the game began to peter out slightly, with Wingate putting players behind the ball and Lewes finding it difficult to find a way through their well-organised defence for a third time. That was until the 82nd minute, when a superb passing move, which started in the Lewes defence, ended with Reed delivering a dangerous low cross from the right for substitute Callum Overton to guide past Gore and into the back of the net to put the Rooks 3-2 up just two minutes after his introduction. The visitors did their best to find an equaliser and nearly did so at the start of four minutes of injury time, as Carey was only able to parry a long-range Charlie Ruff strike before eventually gathering the loose ball with several Wingate players looking to convert the rebound. Lewes made the most of this by sealing the win with the last meaningful action of the game, with Hammond dispossessing a Wingate defender 30 yards from his own goal and playing Overton through to finish past Gore and secure a hard-earned three points for the Rooks. This was an impressive win for Lewes, who recovered from a below-par first-half display and a two-goal deficit to remain in third place in the congested Bostik Premier table. After the game, a relieved Darren Freema spoke to Barry Collins. You can read the E-programme here. The Rooks will hope to build on this when they welcome Margate to the Pan on Wednesday, kick-off at 7.45pm. Lewes: Carey, Day, Reed, Oluwatimilehin (Smith 63), Chappell, Freeman, Coppola, Lawson, Blewden (Overton 80), Hammond, Pamment. Wingate & Finchley: Gore, Williams, Ifil, Tring (Abrahams 83), Cronin, Rifat, Beckles-Richards, Stewart (Ruff 86), Cole (Monsheju 71), Laney, Hutchings.